Sir Nick Faldo, the six-time Major champion, World Golf Hall of Fame member, winner of 42 tournaments worldwide, and the all-time Ryder Cup leader for most wins and points, will play in the Diamond Resorts Invitational™ benefiting Florida Hospital for Children, Jan. 12-14 at Tranquilo Golf Club at Four Seasons Resort Orlando at Walt Disney World® Resort in Orlando, Florida. A three-time Masters Tournament champion and winner of three Open Championship titles, Faldo’s illustrious professional golf career also included designation as the world’s No. 1-ranked golfer for a total of 98 weeks, and as the first international player to win the PGA TOUR’s coveted Player of the Year Award. With his varied business interests and busy broadcast schedule as lead analyst for the PGA TOUR on CBS and Golf Channel, Faldo played sparingly on the 2017 PGA TOUR Champions circuit, participating in seven events. Recognized as the most unique tournament in golf, the event will feature 28 PGA TOUR Champions players, four LPGA stars and 52 top-tier athletes and entertainment celebrities in two distinct competitions, utilizing a Modified Stableford scoring format, which awards points as opposed to strokes. Joining Faldo from the PGA TOUR Champions are major championship winners John Daly, 1991 PGA Championship and the 1995 Open Championship; Mark Calcavecchia, 1989 Open Championship; Lee Janzen, 1993 and 1998 U.S. Open; Jeff Sluman, 1988 PGA Championship; as well as John Cook, 11-time PGA TOUR winner; Billy Mayfair, five-time PGA TOUR winner; Jeff Maggert, a three-time PGA TOUR and five-time PGA TOUR Champions winner; and defending champion, Woody Austin. The LPGA Tour will be represented by four well-known players: Brittany Lincicome, a seven-time champion including two Majors; Brooke Henderson, 2016 KPMG Women’s PGA Championship winner; Brittany Lang, 2016 U.S. Women’s Open victor; and Gerina Piller, three-time Solheim Cup competitor who is currently pregnant with her first child. The celebrity field will include sports Hall of Famers and All-Stars including John Smoltz, Ray Allen, Marcus Allen, Roger Clemens, Terry Francona, Jeremy Roenick, Brian Urlacher, Michael Waltrip, Tom Glavine, Greg Maddux, Brian McCann, Mardy Fish and defending celebrity champion, Mark Mulder. Last year’s combination of golf professionals and celebrities competing together for separate purses totaling $1.25 million captured the golf world’s imagination and raised curiosity and popularity among media, sponsors and the public. PGA TOUR Champions and LPGA players will compete for $750,000 over the 54-hole tournament, while the celebrities will play for a $500,000 purse. Threesomes will include one PGA TOUR Champions or LPGA professional and two celebrities. The singular format allows for a distinct competition, as all professionals and celebrities play their own ball and compete from the same tees for 54 holes. Faldo won his first major title in 1987, the Open Championship at Muirfield. He followed that with back-to-back Masters triumphs in 1989 and 1990, and then another Open victory in 1990 at St. Andrews, and the 1990 Player of the Year Award. He was inducted into the World Golf Hall of Fame in 1997. His success in Ryder Cup competition is legendary, holding the record for most appearances, 11, most wins and most points scored, 25. He was knighted by Queen Elizabeth II in 2009. 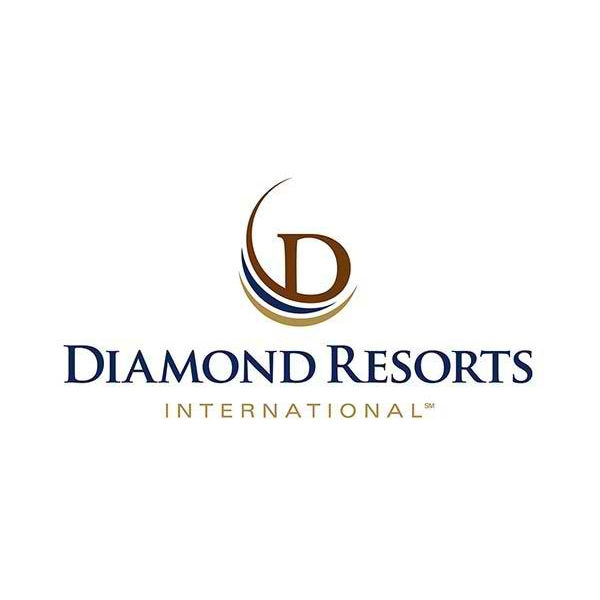 The Diamond Resorts Invitational™ is the PGA TOUR Champions final Challenge Season tournament before the Regular Season opening event the following week, January 19-21 at the Mitsubishi Electric Championship at Hualalai at Hualalai Golf Club in Ka’upulehu-Kona, Hawaii. Tournament week will begin Thursday, January 11 with the fifth-annual Brian Gay Pro-Am presented by Diamond Resorts International®. Gay, a four-time PGA TOUR winner and longtime Orlando resident, will serve as host of the 18-hole celebrity-amateur competition, which will feature foursomes comprised of three amateurs and one celebrity or PGA TOUR Champions player. An evening dinner and concert at Mystic Dunes Resort & Golf Club, one of Diamond Resorts’ flagship resorts in Orlando, will complement Thursday’s events. Saturday evening will be a highlight of the tournament with a gourmet dinner and concert featuring country music stars Jana Kramer and Cole Swindell, both Diamond Resorts Ambassadors. Previous headliners have featured Jake Owen, Huey Lewis and the News, and Darius Rucker. The accompanying live and silent auctions have helped raised more than $2.3 million for Florida Hospital for Children. The tournament site, Tranquilo Golf Club at Four Seasons Orlando, is unique to Central Florida for its varying elevation, abundant wildlife and protected wetlands. Originally built in 1992 and designed by Tom Fazio, the golf course was enhanced by Fazio for its October 2014 reopening. The course is a par 71 and plays to 6,901 yards. 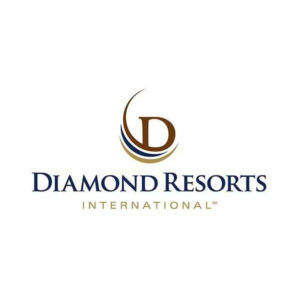 For more information on the Diamond Resorts Invitational™, please visit DRIGolf.com. Florida Hospital for Children is committed to delivering world-class programs, extraordinary patient care and clinical excellence. Our flagship hospital is the heart of a children’s network that includes primary care pediatricians, specialty clinics, emergency departments and Kids Urgent Care. With the help of Walt Disney Imagineering and input from patients, families and clinicians, Florida Hospital for Children features a seven-story, technologically advanced facility with a child-centered healing environment. We’ve assembled a world-class team of doctors, specialists, nurses and healthcare professionals who are second to none. At their disposal are some of the most advanced technologies, therapies and treatments available.â€¨We lead the way, not only in our approach to healthcare, but in research as well, finding new methods for treating children so we can improve outcomes. One of the premier children’s health systems in the nation, Florida Hospital for Children sets the standard for innovation, quality and comprehensive care. The tournament site, Tranquilo Golf Club at Four Seasons Resort Orlando, is unique to Central Florida for its varying elevation, abundant wildlife and protected wetlands. Originally built in 1992 and designed by Tom Fazio, the course was enhanced by Fazio for its 2014 launch as Tranquilo Golf Club at Four Seasons Resort Orlando. This December, the course will unveil a $2 million enhancement to its practice facility, which will encompass 15 acres including a 6-hole Par 3 course; a 400-yard double-ended driving range with a two-acre natural grass teeing area; 13,000 square-feet of additional putting greens, and TrackMan launch monitor video swing analysis. The course is a par 71 and plays to 6,901 yards. PGA TOUR Champions is a membership organization of golf’s most recognizable and accomplished players, age 50 and older, including 35 members of the World Golf Hall of Fame. The Tour’s mission is to provide financial opportunities for its players, entertain and inspire its fans, deliver substantial value to its partners, create outlets for volunteers to give back and generate significant charitable and economic impact in tournament communities. In 2017, the PGA TOUR Champions schedule includes 26 tournaments in 18 states, Japan, Wales and Canada, with purses totaling more than $55 million. The Charles Schwab Cup, which includes the Regular Season and the Charles Schwab Cup Playoffs, is used to determine the season-long champion. All events are televised in the United States, with most receiving complete coverage on Golf Channel, the exclusive cable-television partner of PGA TOUR Champions. Internationally, telecasts air live, tape-delayed or in a highlights-package format in excess of 190 countries and territories, reaching more than 330 million potential households. The PGA TOUR’s web site is PGATOUR.COM, the No. 1 site in golf, and the organization is headquartered in Ponte Vedra Beach, Fla. Follow PGA TOUR Champions at facebook.com/PGATOURChampions, on Twitter @ChampionsTour and on Instagram @pgatourchampions.